We put away our Christmas tree and decorations this week, after Epiphany marked the end of the season. I spread out the tree ornaments on the table and took a picture. This is enough to decorate the front half of the tree. I will have more next year because my mom gave me a big box of ornaments. Maybe next year we'll put it in the window and decorate the whole thing (maybe not -- the corner is nice and it looks good against the red walls). 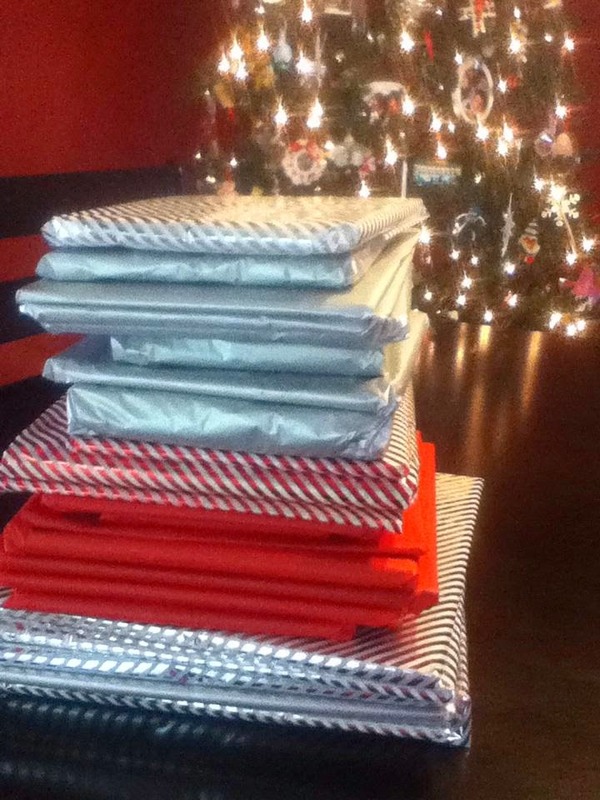 I wrap the books in tissue paper, which I buy after Christmas. I don't use scissors, so sometimes the books are sort of wrapped twice. And usually you can see the title through the thin paper. But it's cheaper and less likely to give paper cuts. And 24 presents is a lot to open, even in 24 days!